Aria - A1 Granite & Marble Ltd. The subtle hues that form the Aria surface appear to have been born for decking out the most contemporary kitchens and bathrooms. The presence of this Natural Stone, as balanced as it is changing, provides the necessary ground-breaking touch in spaces where elegance with distinction is sought. The superb stone takes over the room with its power, its timeless look and its resilience, which stands the test of time and use. Aria is an outstanding presence on the countertops of cutting-edge kitchens, where it creates an interesting counterpoint to all kinds of materials. 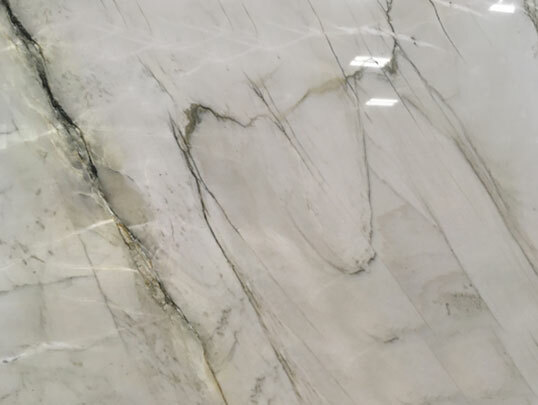 The bacteriostatic and anti-stain treatment the material is given as standard and the simple maintenance they require make of the stones in Quartzite a star product for kitchens and bathrooms.